When you first start off in Charlie Murder, you find yourself, literally, in Hell. You’re forced to figure out just what is going on while fighting off various demons and other unholy entities, with nothing but a few barely visible signs in the background telling you how to play. After about a minute, you find yourself flying back up towards the surface, to life, and to an EMT that has no idea what his job is. Your attackers then, instead of making sure you’re staying down, walk off and leave you to follow them across the entire state to a Battle of the Bands concert. 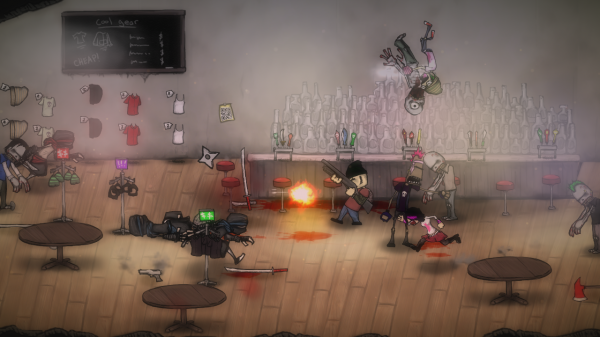 This is essentially what you get thrown at you in the game Charlie Murder, a side-scrolling 2D brawler that has you playing as the members of a punk rock band of the same name against the forces of death metal band Gore Quaffer, who is trying to conquer the world. Along the way you’ll fight all manner of baddies, including zombies, ninjas, giant spiders, ghosts, asylum patients, pirates, computer nerds, sharks with dynamite strapped to their bodies, witches, zombies in hazmat suits, behemoths, and much more. 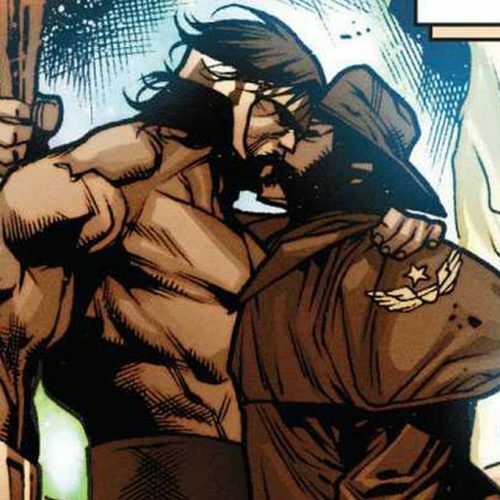 However, while the premise is definitely unique, the execution is severely trying. 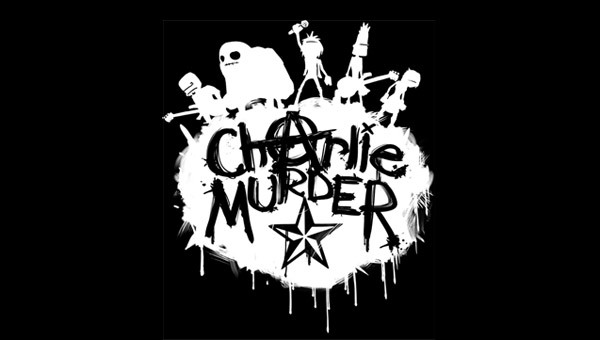 You can play as one of the five different members of Charlie Murder: front man and vocalist Charlie, guitar player Lester, Tommy on bass, Rex for the drums, and Kelly, the token female member of the band who contributes by…… playing the tambourine. Needless to say, female gamers aren’t going to be finding a better female representative within the punk band. However, what Kelly lacks in the musical front, she at least contributes in combat. Each character is portrayed as a specific class that determines how they play. Charlie is a Berzerker and does a lot of physical punches, while Rex is a tank and is good at taking and dishing out punishment. 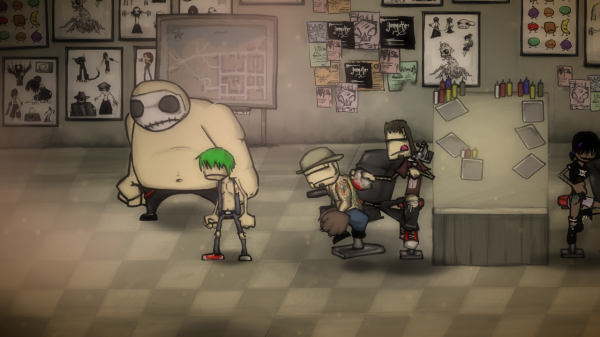 Each character also has their own set of skills, which you can unlock by getting tattoos at different parts of the game. Skills can then be set to one of four slots, and require Anar-Chi to use, which recharges slowly over time. The problem, however, is that the game refuses to actually provide any information on just what you can actually do with each character. When the How to Play section of the game only tells you to “Mash X and Y a bunch,” it just shows that the developers didn’t really care about the final product as much as they should. It took me hours of just mashing the buttons in different ways to figure out how to do a launcher with Charlie into an air combo. Even then, attacking is wonky, and combos you want to do don’t even work properly half the time. The lack of information goes into other areas of the game as well. For example, the game uses a lot of RPG mechanics, including levels and random loot drops. However, your level is tied to your number of followers, which you can track on your squ.iddl.us account (their version of Twitter) on your phone. What the game doesn’t tell you is how to get more fans. From what I could gather, it just randomly decides to give them to you at different points for different actions taken, like blowing up a bunch of crap in the streets or felling a boss. You at least don’t have to worry about forgetting to keep track, as the icon to check your account will be constantly popping up over your head every thirty seconds to annoy the crap out of you. Another thing is how items are used. For example, the game does bother to inform you what consumables such as beer does as far as granting stat bonuses. However, it doesn’t tell you that it also makes you intoxicated, causing you to move slowly and lose control of your character. Such a mechanic is nothing but incredibly frustrating to deal with, especially when the entire band is apparently a bunch of lightweights to allow only one beer to have such an effect. Even more confounding is the fact that you can’t switch which consumable you want set in your quick use slot, instead scrolling through available items in your inventory when you use them. That or the game never bothered to inform me of how to do so. Even when everything finally does click, the game itself has a hard time making things engaging. Combat is largely just mashing the same button repeatedly against a single target for half a minute with little thought or strategy. You can also pick up one of the numerous weapons scattered about the area and beat some hapless skulls in, which is one of the few pluses the game has going for it. Boss fights, meanwhile, are very cheap, and will largely devolve into you relying on your Anar-Chi skills to get some hits in, then running around waiting for it to recharge. Probably the biggest offender in this performance is the aesthetics. The graphics are very grim and dark, with very little color to contrast the gloominess, and character animations are incredibly stiff. Fog effects and poor lighting cause everything to be blurry at points, causing more eye strain than needed for a video game, while other times the lighting gets so bright that it’s to the point of causing temporary blindness (something that becomes very prevalent during one of the boss fights). Even worse, some of the foreground objects intentionally block your view of what’s in front of you, resulting in cheap hits from enemies, such as during one of the on-rails segments, where trees block a portion of the screen from your view while you’re flying through them. Also, for a game that’s largely about music, there are hardly any redeemable tracks in the game. Most of the actual band music is incredibly muddled and low quality, as if the songs were recorded in a parking garage. Hell, I can’t even understand the lyrics because they’re barely audible over the band itself and the vocalist sings like he’s drunk and/or high. Every other track, meanwhile, is incredibly forgettable and adds very little to the overall experience. Things get slightly better with buddies, as the game allows for four player local or online co-op, though good luck finding people online to play with, since traffic is very minimal. Working with another person brings other benefits, such as being able to do team-up attacks. You can also take part in PvP arenas if you simply feel like beating each other’s faces in. However, it’s not long before the realization that you’re playing a very mediocre brawler sinks in. 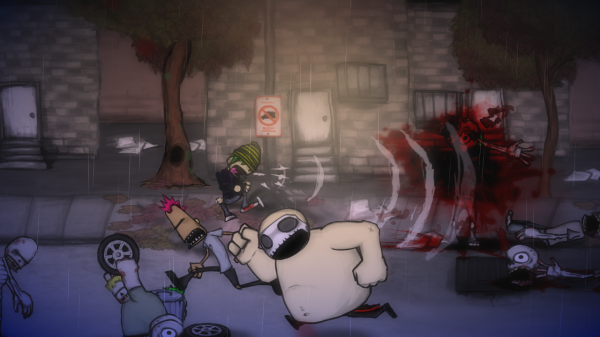 Charlie Murder has a few redeeming qualities, but overall is a very bland game. It tries to make itself stand out by trying to be obscure, but the lack of polish, a forced storyline, uninteresting characters, uninspiring gameplay, and ugly visuals make it a lackluster concert performance. At the end of the day, this is one band that is in need of a serious intervention.